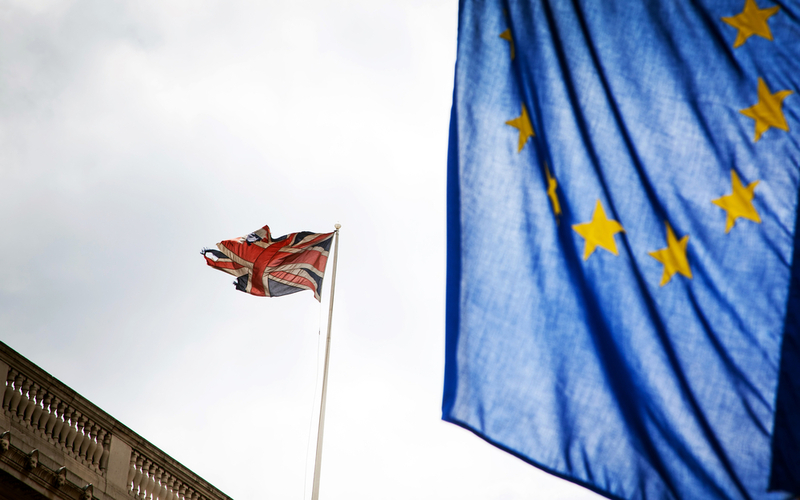 Brexit’s impact on business will depend on which Europe emerges in the aftermath, writes Ilaria Maselli. Ilaria Maselli is a senior economist for Europe at The Conference Board, a global, independent business membership and research association. On 17 January, Prime Minister May laid out her vision for a “truly global Britain” in the wake of Brexit. Despite the shock of the Brexit Referendum, other European leaders have done little to address the spreading anti-globalization and anti-migration sentiments. As an example of what could unfold, look to the upcoming Dutch, French, Czech, and German elections. Over the next few months, what road integration takes could go a long way in determining Europe’s growth rate and the sources fueling it. Along with the political and policy outcomes here at home, the dynamism of Europe heavily depends on demand coming from abroad. Global growth provides tremendous oxygen to Europe’s economy, especially the eurozone, which exports more than it imports. According to our research at The Conference Board, head or tailwinds from abroad, plus internal reforms to Europe, could lay the foundation for four alternative Europes to start taking shape. Which scenario looks most likely? As of now, Continued Stagnation appears most likely. Under this scenario, Europe suffers from abysmal growth, which fuels the rising Euroscepticism fire and increases the risk of more exits. To avoid this outcome which in the longer run will be unsustainable European leaders, who have little control over what impactful events unfold abroad, can take greater control of what occurs here at home. Scholars have put forth endless ideas, some of which merit serious consideration. For example, the creation of a common budget for the eurozone, with funds going toward investment projects to remove structural differences between countries (such as productivity levels). The budget for the eurozone could also address cyclical shocks, such as unemployment benefits. Another idea includes Eurobonds, which have received strong support since the start of the eurozone debt crisis. 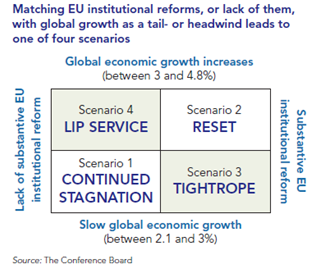 While those reforms represent a small portion of a needed comprehensive reform agenda, their enactment could certainly help move Europe away from Continued Stagnation toward a scenario of prosperity. The challenge is therefore to translate the shock from Brexit into a true Reset.